can accommodate 4 – 5 people. 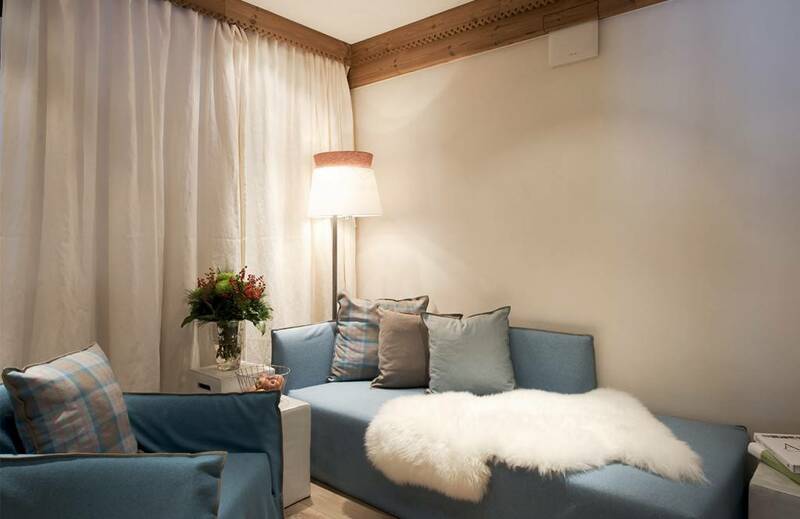 In Chalet Lech I living rooms and bedrooms are on one level. In addition to the spacious living room with fireplace, kitchen isle and multimedia devices, there is also a second small living room with bio sauna, offering relaxation and retreat. The terraces facing south and west are aligned to the natural path of the sun. The large luxury chalet “Chalet Lech” is built in alpine chalet style, a solid stone base and the local larch radiate much warmth and security. 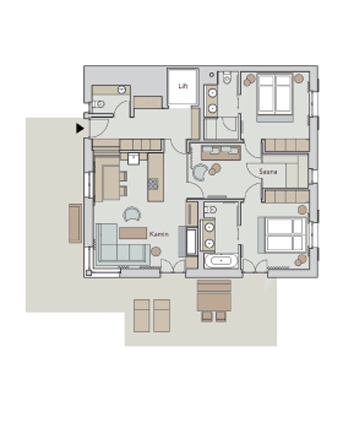 2 bedrooms with double beds and private bathroom, 1 extra bed available. 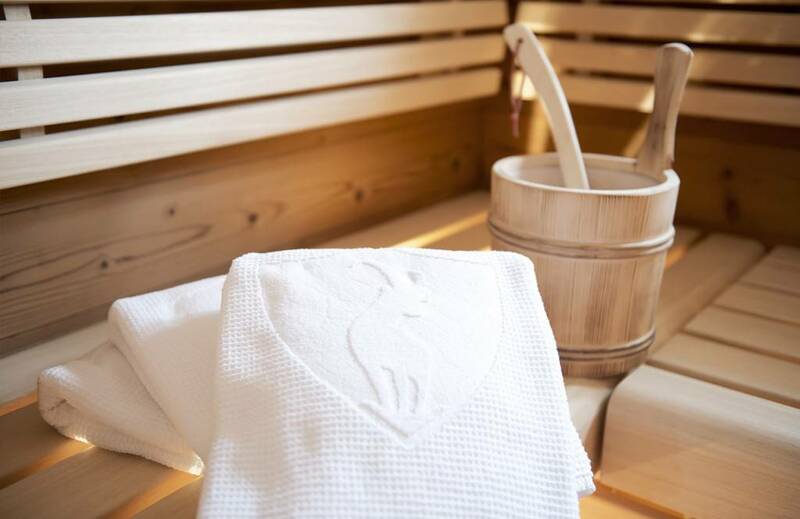 Shower with steam bath, sauna with 2 temperature zones and cozy relaxation area. Entrance with cloakroom, ski boot dryer, guest toilet. 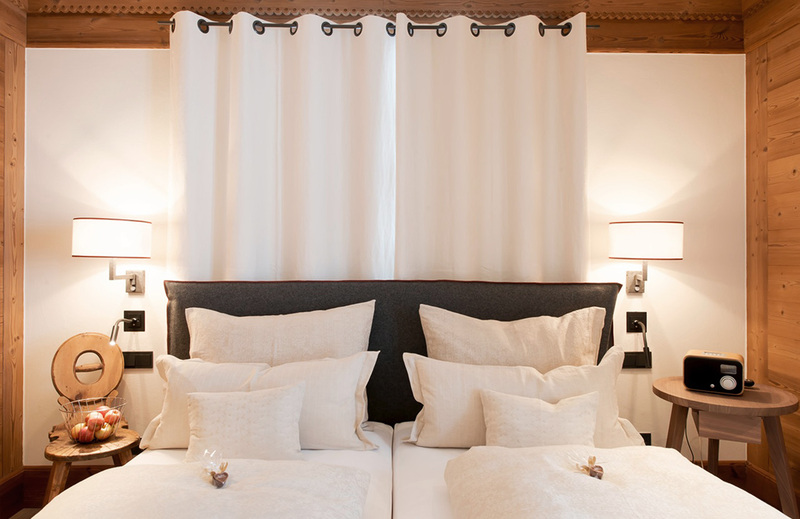 Prices per day for the chalet, including breakfast and personal assistant.